If you think your foundation woes are over, come winter, you’re not alone. Because heavy rains are the most common cause of foundation water damage, it’s easy to forget that snow can be just as detrimental. Nevertheless, winter snow will liquefy when temperatures rise above freezing , making it very similar to flooding conditions after heavy rains in the summer months. • Cracking. Eventually, standing water will seep in, weakening foundation walls and resulting in cracks. • Bowing walls. Dirt expands when wet, and too much expansion puts undue pressure on your foundation, which can cause bowing walls. • Heaving. Foundation heaving occurs when moisture-saturated soil forces your home’s foundation upward. Your foundation is arguably the most important part of your home, but most people don’t think about it until issues start to develop, many of which may seem unrelated. Read more about warning signs of a foundation problem. • Taking care of your gutters. Gutters are designed to carry rainwater away from your house’s foundation. If your gutters are draining properly but the ground around your foundation remains wet or shows signs of erosion, consider extending your downspouts. • Shoveling snow. Clearing your roof of snow (carefully!) and shoveling it away from your house will prevent it from drenching your foundation when it melts—ten inches of powdery snow will melt into thousands of gallons of water. • Landscaping and maintaining a drainage system. The landscape immediately surrounding your home should slope downward in order to direct water away from the foundation. If this is not possible, a French drain or another drainage system should be installed to keep your foundation dry. • Waterproofing. It is a good idea to waterproof the lowest level of your home in addition to the foundation. The ground tends to freeze in winter, and frozen soil is not very absorbent; water that would be absorbed into the ground during warmer months will need somewhere else to go. Too much snow could result in snowmelt that rises higher than your foundation. 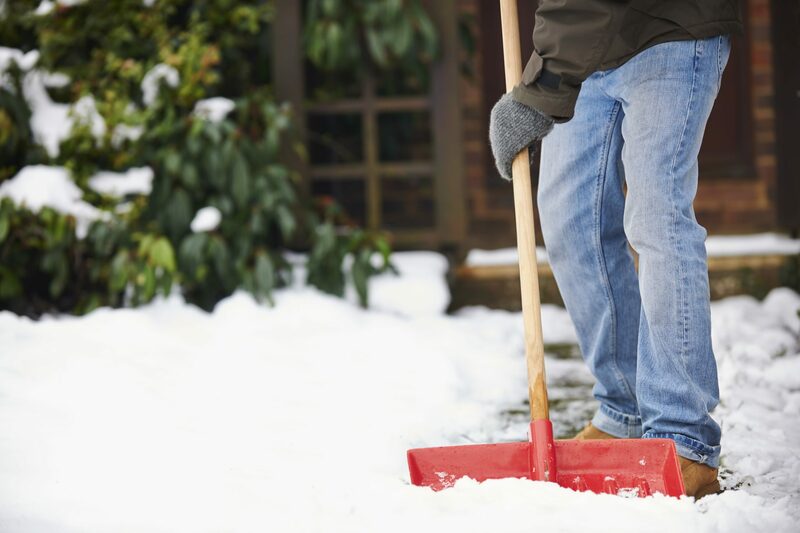 Learn more ways to winterize outside your home. Because you can’t really keep an eye on your foundation, winter foundation concerns can seem overwhelming, but remember that most problems arise due to a lack of preventative measures. If you’re worried about the effects of snow on your foundation, a Best Pick foundation repair or waterproofing specialist will be able to ensure you’ve taken the proper precautions.